LONDON -- BMW said it was best for business for the UK to be in the EU single market and urged London to ensure the country retained tariff-free access to the bloc. BMW builds Mini and Rolls-Royce cars in the UK. Prime Minister Theresa May said on Tuesday that Britain will quit the single market when it exits the bloc, in a decisive speech that quashed speculation she would seek a compromise deal to stay inside the world's biggest trading group. "We urge her to ensure the UK's negotiations with the EU result in uncomplicated, tariff-free access to the EU single market in future," a BMW spokeswoman said. 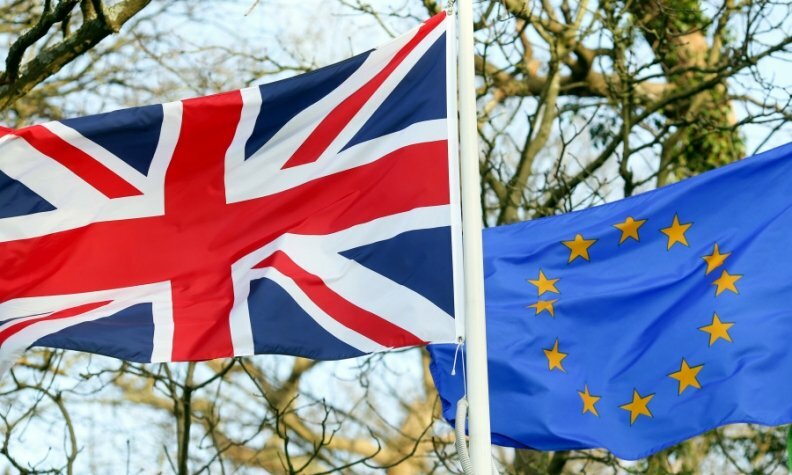 The SMMT industry association said on Tuesday that Britain needs to participate in the EU's customs union to help retain trade. The customs union is vital to the UK auto sector as nearly 60 percent of the parts in an average British-assembled car are made abroad and some components travel to and from the continent several times in the manufacturing process. The SMMT said the overwhelmingly foreign-owned sector, which built more cars last year than in any other for over a decade, must retain the key elements of unfettered trade in order to keep prospering. "We need a deal which includes participation in the customs union to help safeguard EU trade, trade that is tariff-free and avoids the non-tariff and regulatory barriers that would jeopardize investment," SMMT CEO Mike Hawes said in a statement. Asked about the possible implications of free trade where Britain is outside the customs union, Hawes told lawmakers before May's speech that British-built cars may not comply with the criteria set down in the average free-trade deal. "The danger is that UK-built cars may not qualify under most normal free-trade agreements," he said. "Generally rules of origin require around 50 to 55 percent local content. Currently in the UK, the average car has about 41 percent local content. Being part of the customs union, basically European content counts so that's not an issue." Global automakers have also warned that a return to World Trade Organization tariffs of 10 percent on car exports and around 3 percent on engines could make their British plants uncompetitive. Last year, Japanese carmaker Nissan asked for a pledge of compensation if its plant in Sunderland, northeast England, was hit by Brexit but went on to invest in two new models after what a source described as a government promise of extra support to counter any loss of competitiveness. On Tuesday, May suggested the car industry may be able to retain elements of the free trade terms currently enjoyed as part of the single market under a new accord. "That agreement may take in elements of current single market arrangements in certain areas - on the export of cars and lorries for example," she said.